Teacher and administrative staff professional development are cornerstones to accomplishing a successful educational institution, virtual school environment, or blended learning setting. Differentiated Instruction: Strategies to keep all Students on Track! This workshop will teach you how learning styles, intelligence, ability and interest can all be used to develop effective student groupings and tiered assignments. Learn to create lessons that encourage students of all ability levels to use higher level thinking skills. Learn the difference between ability and readiness and how these terms apply to the student within the differentiated classroom. Explore the planning and major considerations needed to deliver differentiated instruction. The areas of how to assess the student, provide for early support, design lessons that have long-range goals, and incorporate the content, process, and product into the total differentiated classroom structure will be explored with the goal of increasing the individual learning of each child. Differentiate your language arts instruction and utilize the Reading Horizons program to provide proven remediation for struggling readers. Reading Horizons can be taught using direct instruction, computer software, or both. Teachers can use this systematic, explicit, and multi-sensory approach that has been proven to be highly effective for students needing reading remediation. This Orton-Gillingham based program allows students to actively decode words by applying the unique Reading Horizons marking system. This process helps students to make rapid gains in reading abilities and experience success. Because of these quick results and varied instruction, struggling readers continue to feel motivated and empowered. Motivate digital learners with engaging web tools and get them on their feet with interactive whiteboard lessons! This training will explore technology and web connections to engage students in reading and writing while addressing College and Career Readiness Standards. Discover ways to achieve the embedded technology standards and meet cross-curricular language arts requirements. Take a peek at some unpacked standards and discover what skills students truly need to be college and career ready in our digital world! Writing Intervention and the Writing Traits Connection! 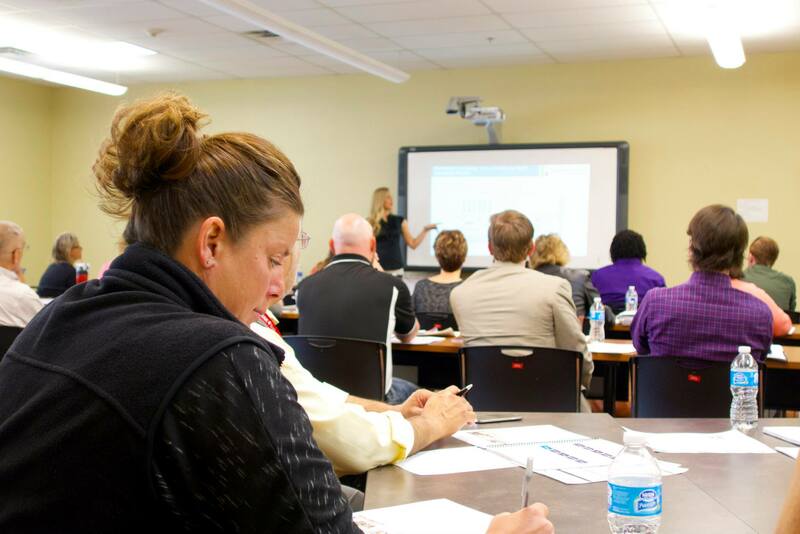 This training will help teachers to build confidence in their students? writing skills and advance classroom achievement. It covers the history, research and benefits of using the Six Traits of Writing. It will also provide teachers with ideas to make powerful connections to the traits in their classrooms and learn how the traits are addressed in the Common Core and College and Career Readiness Standards. Practical mini-lessons and technology and literature links are shown for all levels. Teachers will also learn how to use the visual connection to ?trap the traits? during their reading time and how to use color connections to teach revising and editing. Easy scoring techniques to assess student writing will also be modeled. Motivate your students by integrating interested-based and student-driven learning into your classroom. Create a community of learners who work together and express their knowledge in innovative and creative ways. Engage them with technology tools that will set them up for success in our digital world. Learn how to develop, manage and evaluate standards-based projects while capturing the interests of your 21st century learners. Guide your students to explore relevant problems and challenges while partnering with experts in the community to discover real-world connections. Teach them to utilize technology connections such as interactive whiteboards, digital presentations, and Web 2.0 tools to present what they have learned. Create an environment where students feel comfortable taking risks and support one another by learning about effective classroom management! Teachers who manage their classroom behavior effectively have much higher scores on standardized tests, and see overall better grades and academic performance. Learn how to start your year off right by using research based techniques which validate students and empower them to want to do their absolute best. Use pre-correction strategies to ensure that you eliminate problems before they begin and your students will benefit in spades from a distraction free environment. Learn about engagement strategies such as P.A.T, disciplining with dignity, and public affirmation, enabling you to have much smoother instructional time, free from disruptions, and motivate your students to succeed! 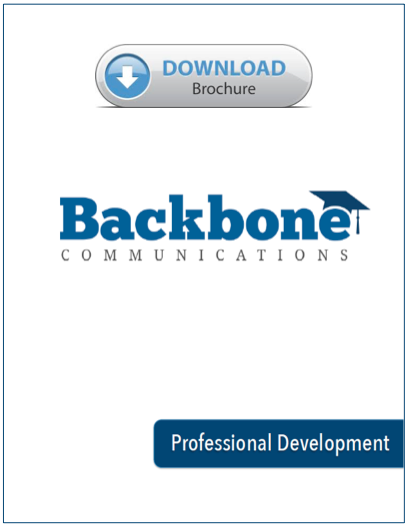 Learn what Backbone can do for your teachers and students!